Beth Comstock, the first woman to serve as a vice chair at General Electric (GE), is stepping down. "I announced today that I am leaving GE at the end of the year," Comstock wrote in a Facebook post. "I love the company, its people and purpose. I am proud to have been a part of shaping its future, and worked with an amazing team. Now it's time for me to do one of the things I love to do -- explore what's next. This time for me." The company noted in a statement that Comstock has been with the company for 27 years. As she rose through the ranks, she held the title of chief marketing and commercial officer. She will hold her current role, as vice chair and leader of GE Business Innovations, until she retires at the end of the year. "Beth's passion for innovation has opened new markets for GE and changed the way we work," GE Chairman and CEO John Flannery said. "We have relied on Beth to see around corners and lead us to new ideas and invention." GE announced several changes to its executive team on Friday. Vice Chair John Rice, who worked at the company for 39 years, will also retire on December 31, as will the company's chief financial officer Jeffrey Bornstein. His shoes will be filled by Jamie Miller, CEO of GE Transportation. She came to the company in 2008. 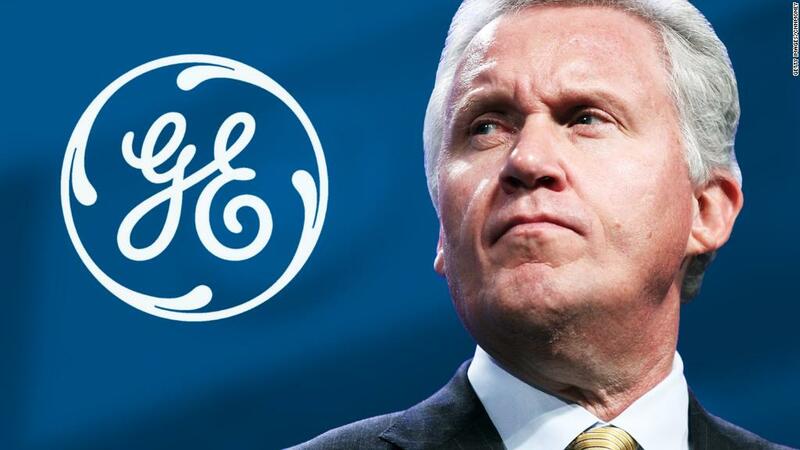 The changes follow former CEO Jeff Immelt's exit. Immelt stepped down on August 1 after 16 years at the helm of the company. He is succeeded by John Flannery, who is trying to revitalize the flailing company by cutting $2 billion in costs by the end of 2018. The company's stock has plunged by more than 22% this year.